To stay as healthy as possible, we become an active participant in ourown care. We exercise daily, get plenty of sleep and eat nutritious food. But just as taking care of our physical health is important for our overall wellbeing, maintaining goodfinancial health is also vital. Because when you are financially sound, you have the freedom to live life on your own terms and therefore, have a better quality of life. But how do you remain at the top of your financial health? Here are four ways to help ensure that your financial situation stays healthy. The first step towards improved financial health is getting organized. To start with, set the autopay option for all your bills as any missed payment can be detrimental to your credit and thereby your financial future. Simply put, ensure that you pay all your bills on time. Next step is to save for emergencies like job loss, car/house repair or medical emergency. For that purpose, stash at least three to six months of living expenses in an emergency fund to ensure financial stability. Lastly, create a budget to track where all your money goes. Track every rupee that you spend — from utilities, to rent, to food. Also, count every cup of coffee that you drink or every movie that you watch on weekends. To make this process seamless, use a spending tracker. It will allow you to effectively manage your unnecessary spendings and help re-evaluate where you want yourhard-earned money to go. Getting organizedis a job half done. Investing your money in prudent financial instruments is what will make your money work for you. These days, there are plenty ofinvestmentavenues available for all types of investors. For instance, if you are adventurous and have enough market knowledge, you can invest in stocks. On the contrary, if you are a conservative investor, you can go for ULIPs, especially,if you are eyeing for long-term goals like buying a house, child education or your peaceful retirement. ULIPs will not only provide you with life cover but will allow you to switch between funds based on the changing market conditions. 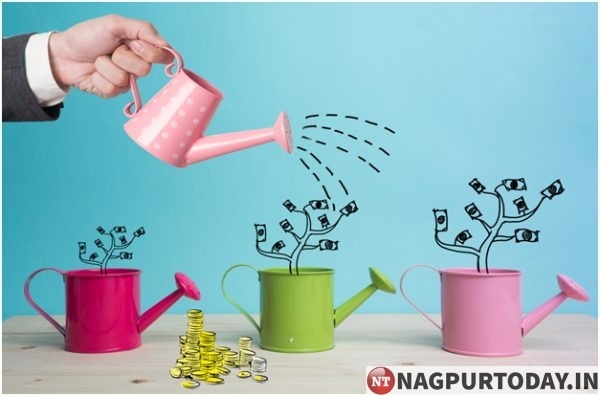 Moreover, benefits like multiple fund options, top-up option and tax benefitsmake ULIPs one of the best long-term investing options. A key component of your financial wellbeing is securing your financial future. Therefore, apart from having an emergency fund, it’s wise to have an online term plan in place. It will financially safeguard you and your loved ones against unexpected future eventualities.Most importantly, it will protect your spouse from the financial strain caused due to lingering household expenses and your home loan repayments (if any). Therefore, know your needs and purchase an online term plan today. A good way to start is to research and compare different plans online. These days many insurers like Future Generali offer term plan calculators which allow you to calculate your premium and coverage amount easily. Make use of such calculators before making your purchase decision. If you already have an online term plan, take stock of your coverage to ensure that youare sufficiently covered, especially when you move through different life stages. This will enable you to identify the gaps andguarantee that your family has enough financial resources in the event the untoward happens. Bearing a ton of debt resembles going through your day wearing a backpack brimming with rocks. It not only slows down your progress but alsokeeps you from achieving things that are otherwise simpler to achieve. Truth be told,debt can even place you in a state of negative mindset. Therefore, managing your debt is probably the most crucial part of improving your financial health. To start with, find out what your debt to income ratio is by taking your monthly debt repayments and dividing it by your monthly income. If your ratio is higher than, 30 to 35 percent, it’s time to take action.To start with, control your credit card spending and considerusing a debit card or paying only in cash. As far as your existing debt is concerned, clear out all the high-interest debt first. The bottom line is: it’s never too late to discoverways to enhance your financial wellbeing. By making the changes mentioned above, you can radically modify your financial outlook and live a life which is free of financial hardships!